I Use it but want the downer front to? I have been watching this font and loving it for the longest time, now. Had to buy it today. It is so beautiful! Has anyone used this without the White Ruffle border? to make it more appropriate for little boys? 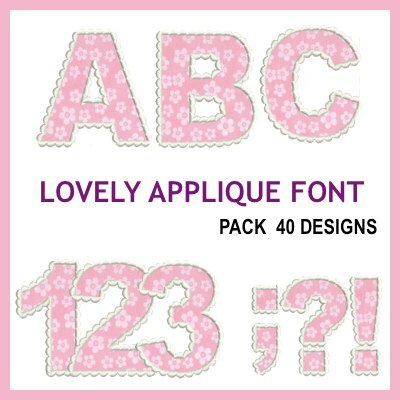 Just curious before I decide which fonts to purchase, love it for crisp clear shapes that have limitless possibilities, as long as I can also use it without the ruffle for the boys items I make also. Thanks for any answers.